Chance for "Uber Slugs! Critical Chance and Accuracy increased!" Thanks to Jokester for original entry. Causes "Conflagration! 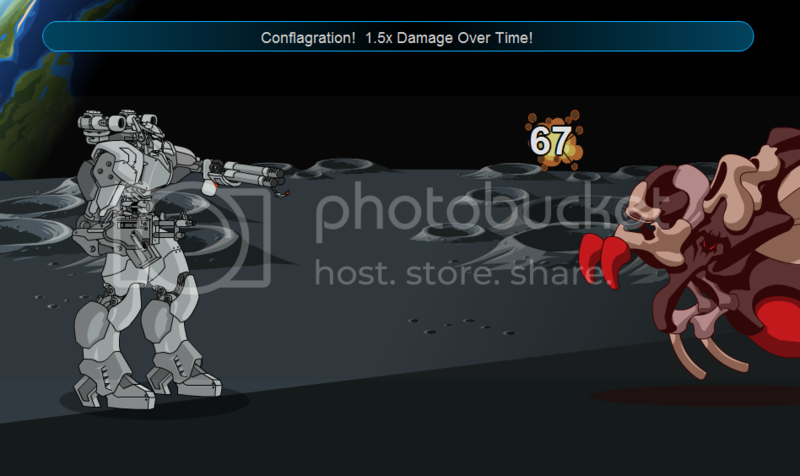 1.5 Damage Over Time! ", inflicts a 1.5 DoT for 4 turns. Causes "Learned Enemy Tactics - Increased Defence"
Thanks to Jokester for special info and images, Karika for original entry. 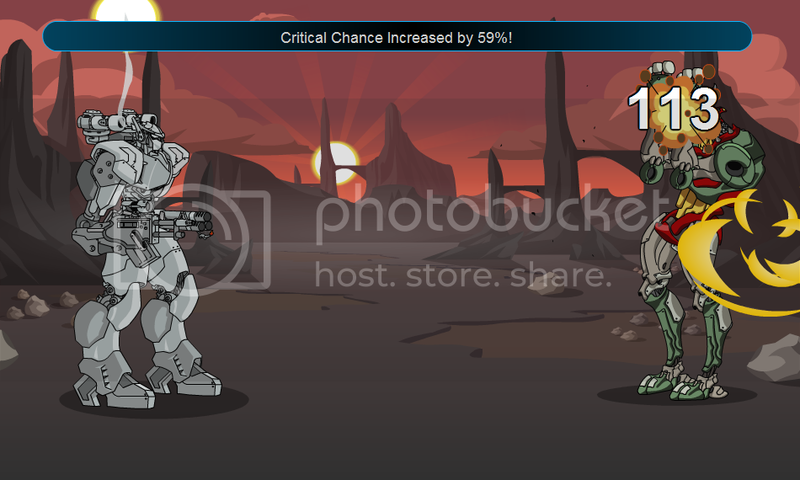 Chance for "Critical Chance increased by X%! ", increases attack's Crit by X%. Chance for "Damage increased by X%! ", increases attack's damage by X%. Thanks to #13 and Jokester for images, Karika for original entry. 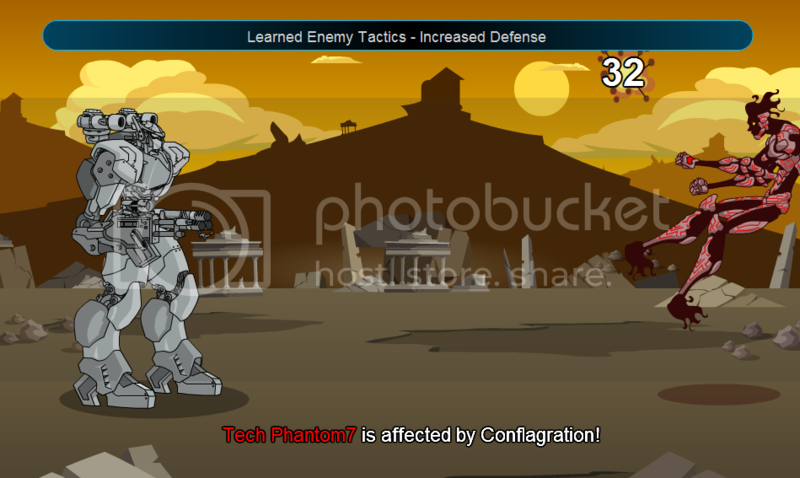 100% Chance for "Learned Enemy Tactics - Increased Defense", increases player's Defense by 5 for 3 turns. Adds +5 Defense every turn thereafter. Small chance for "You've been n00bed! Lost 5 levels! 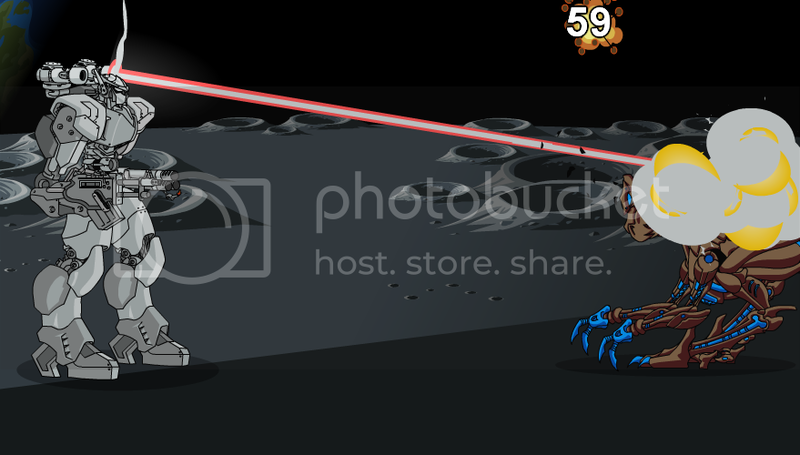 ", lowers opponent's level by 5 for the remainder of the battle (does not affect rewards). 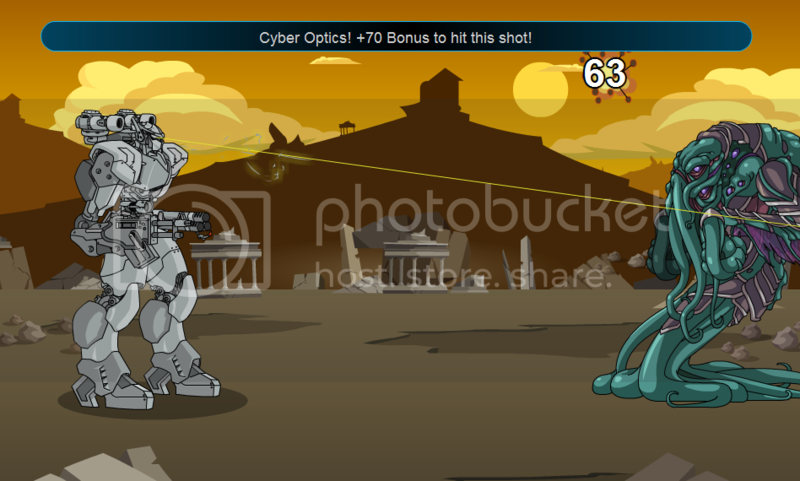 Description: Highly accurate optical attack. Rare chance to "Nuberize" (may reduce opponent level by 5). 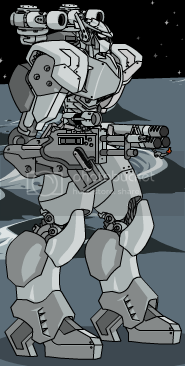 Beware in Assault Mecha: if you're hit with this, you'll need to re-equip your mecha to regain your stats! Thanks to Jokester for image, Karika for original entry.